This is the figure you can build by wandering the hall using the map you get at the LEGO booth. 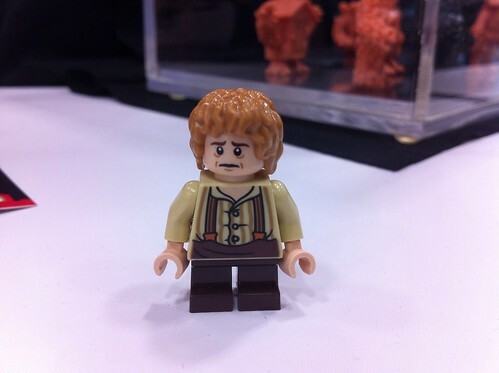 Bilbo features a reversible head. 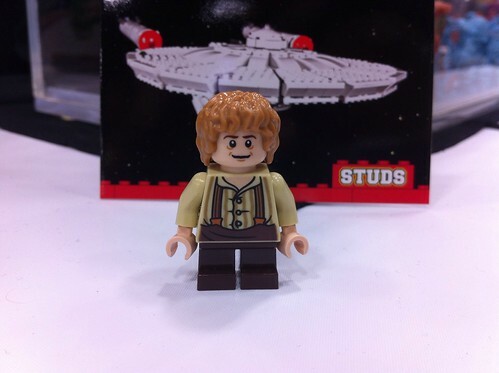 Great, nice Bilbo figure, but what's up with the Enterprise in the background? Is that a sneak peek at a new Lego license?! It's one of the STUDS trading cards reported on some time ago. I'm just happy this is the same one from 79003. Look at my Custom superheroes!